The Rutgers 250, the classic Jersey tomato, is being re-released by Rutgers in honor of their 250th anniversary. The variety debuted 80 years ago. Remember when tomatoes tasted great? You know, red ripe, sweet, flavorful and delicious? The classic Jersey tomato, developed in 1934 by New Jersey's Rutgers University, is back, and slightly improved, but preserving what was best about a tomato variety developed 80 years ago specifically for Camden-based Campbell’s. 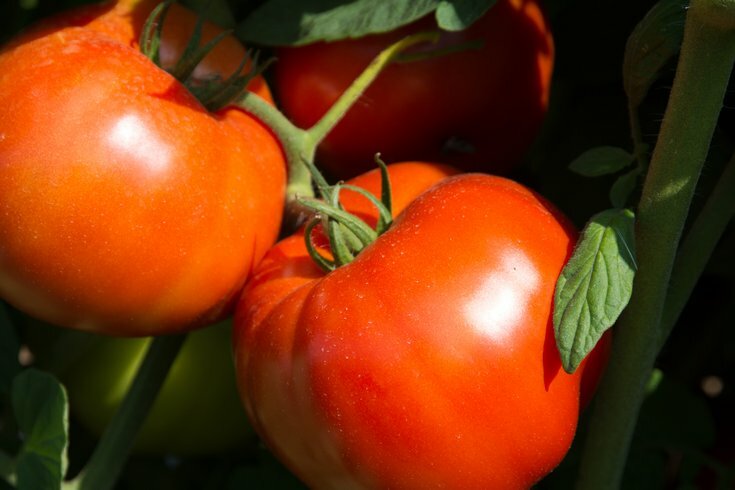 “The Rutgers tomato was a variety that had defined a whole industry,’’ Tom Orton, a plant professor at the university said. “At one point in time most of the tomatoes grown around the world were the Rutgers variety. It was grown for both fresh market and for processing – and dwarfed everything else,’’ the professor added. The Rutgers tomato was synonymous with the Jersey tomato, fresh from the garden, with lots of flavor, Orton said. Hunt’s and Heinz once used the variety as the foundation for their products. “It’s what you think of when you think back to the tomatoes you had when you were younger and they came right off the vine into your house and you cut into them and they were red and the flavor was bursting,’’ said Orton, who oversees the university’s tomato breeding program. But the variety had gone out of favor as farmers grew tomatoes better for shipping than for eating. Now Rutgers has brought the variety back as the Rutgers 250, in celebration of the state university of New Jersey’s 250th anniversary. The new version has a firmer skin, and a slight tang, but otherwise grows and tastes like the original. A limited number of seed packets – 2,000 -- are available this year by ordering here. In 2017, Rutgers expects to have a full supply for home gardeners. A commercial version is expected in 2018.